if you’re an accomplice of a genocide, you are not welcome here. Certainly not as an honorary Canadian citizen. Myanmar’s defacto leader and noble prize laureate, Aung San Suu Kyi became the first person to be stripped of honorary Canadian citizenship on Tuesday over her refusal to call out atrocities by her nation’s military against the Rohingya Muslim minority. The move was made official after Canada’s Senate voted to revoke the symbolic honour. The lower house had already approved a motion to the same effect last week. The Canadian government recognises that the civilian Myanmar leader faces global condemnation for complicity in Rohingya crisis. One of the first countries to do so and Canada has acted on it by making this statement. Senator Omidvar called it “an appropriate message to send to her, Myanmar and to the world. “We need to send a strong signal here in Canada and around the world that if you’re an accomplice of a genocide, you are not welcome here. Certainly not as an honorary Canadian citizen. A WTX News exclusive, as well as a United Nations fact-finding mission, recently found the Myanmar military was committing genocide against the minority Muslim population and other ethnic minorities, and that Suu Kyi had failed in her duty to protect her own citizens. The Canadian Human Rights Museum said it is considering removing a portrait of Suu Kyi after the House of Commons vote last week. The museum already dimmed the brightness of the portrait in its exhibit of honorary Canadians and removed a reference to her from a timeline of human rights milestones in July. 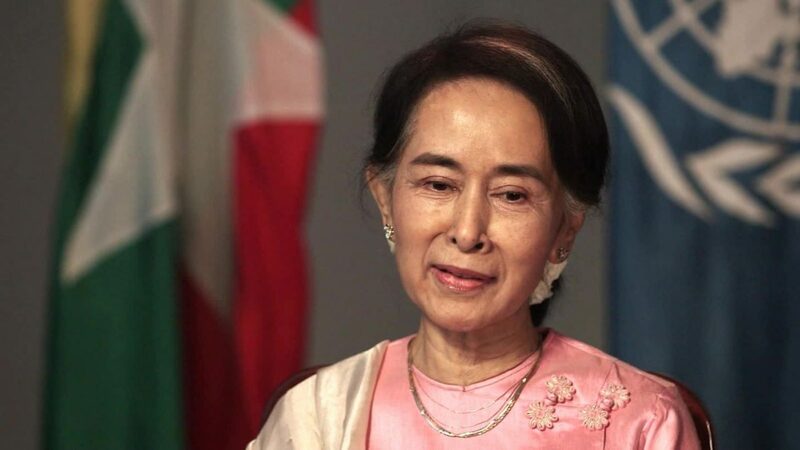 Despite the international condemnation, her Nobel Peace Prize will remain intact, The head of the Nobel Foundation, Lars Heikensten, told Reuters in an interview that while Suu Kyi’s actions are “regrettable,” her prize will not be withdrawn. Ironically, Aung San Suu Kyi won the Nobel Peace Prize in 1991 for campaigning for democracy.